Nicole Read, the mayor in my home city of Maple Ridge, won election as a political newcomer in November 2014. The local election campaign was marked by concern over downtown property crime, linked by some to the presence of homeless people in vacant spaces nearby. The homeless have been a prominent feature of the town centre for more than a decade, but the incumbent mayor and council were blamed and Read got the political benefit. Weeks after the mayor’s swearing-in, a colourful row of tents sprang up on a residential street 200 metres from my home. In the 2014 Metro Vancouver homeless count, Maple Ridge and Pitt Meadows together were said to have 39 unsheltered homeless people. 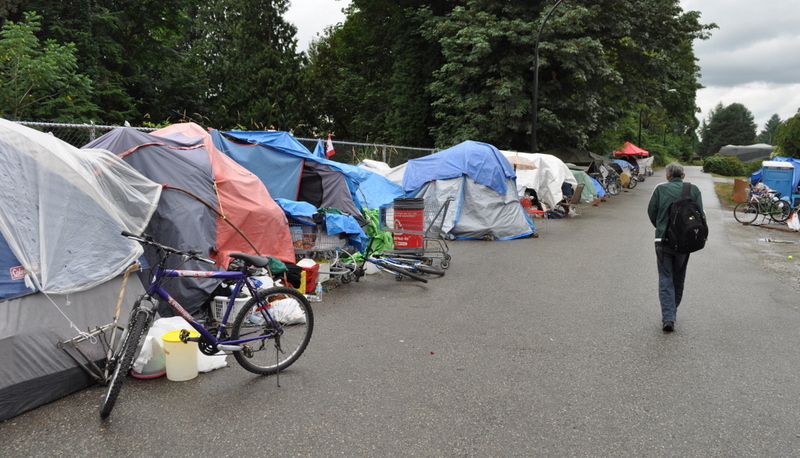 By July 2015, the estimated population of the Cliff Avenue camp was about 60. 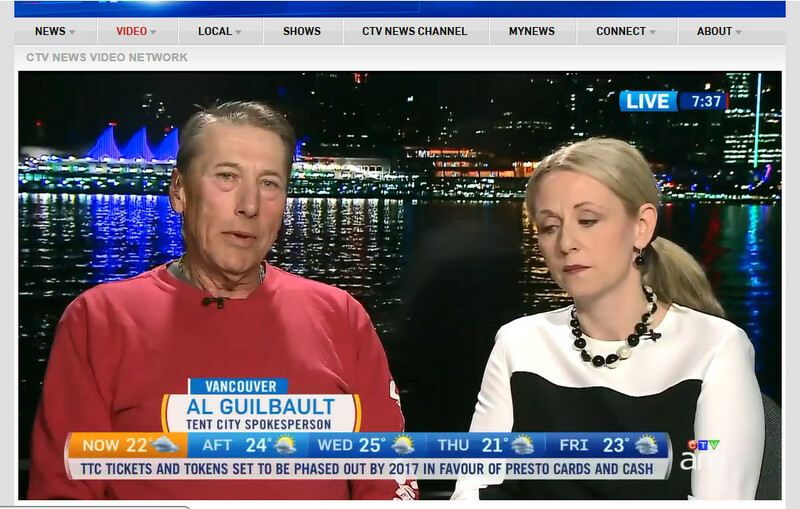 For the first time in my memory, Maple Ridge attracted attention for something other than a lost bear or a homicide, with the mayor appearing on CTV’s morning show on June 23 next to a spokesman for the camp. A Vancouver-based opposition member of the B.C. legislature was inspired to make the rare effort of driving to Maple Ridge to call for immediate provincial government action. I have not figured out Ms. Read’s overall agenda, but on this issue she’s doing what she can. She has said, correctly, that the biggest contributor to homelessness is a lack of affordable housing. She has created a citizen’s panel and persuaded her city council colleagues to allocate money to the problem, for example by assigning outreach workers to look for individual solutions for the camp residents. But she recognizes that the longer-term responsibility for managing homelessness lies with the provincial and federal governments, and has taken steps to bring the province into the picture. The U.S. and European pathways studies have been remarkably consistent: while there is a high level of mental illness among the homeless, this is not the main reason (or “pathway”) for their homelessness. Some people who have mental illnesses become homeless, and others — with identical mental illnesses — remain housed. The factor that led some of them to the streets is a combination of poverty and inadequate housing. In other words, poor people with mental health concerns ended up homeless, while higher-income people with mental health concerns remained housed. Layton wrote that when Ottawa terminated its support for social housing construction about 1987, homelessness became much more common in Toronto, where Layton was a longtime city councillor. In fact, the first time I saw homeless people sleeping on a busy street in Canada was in Toronto, in 1989. As of 2014, Metro Vancouver estimates 2,700 homeless people in the region, sheltered or unsheltered, and the Toronto estimate for 2013 was more than 5,200. I spoke with Joey, a Cliff Avenue camp resident who said he is employed most days through a day labour service but can’t afford an apartment. He said the camp was set up after a wooded property nearby was fenced off and the occupants evicted. People are tired of being moved around, he said, and they’re tired of the conduct of Maple Ridge bylaws officers, who have confiscated family photos and personal souvenirs along with other possessions during many evictions. The homeless in Maple Ridge are making a stand at this location at the edge of downtown, conveniently close to the Salvation Army shelter and kitchen.. I asked Joey about permanent housing, and he said he was enjoying his time outside. He said the hope for many campers is to get access to a big, quiet camping area where they will be left alone. Homeless people have been present in our personal lives since we moved to the Port Haney neighbourhood in 2001. They squat in vacant buildings or camp in the trees, subject to removal by the authorities, or by arson, demolition or new construction. People have tried twice to camp in an alcove under our parking area, and our homeowner group has created a barrier and then strengthened it. 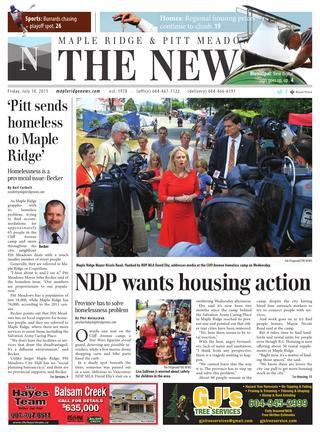 My view is that provincial and federal governments should implement a vigorous housing strategy covering everything from the middle of the rental market to crisis housing, but to be truthful, I do not expect an end to unsheltered homelessness in Maple Ridge or elsewhere. Great article, my view, Homeless does not equate bums, it is the law not to help the homeless, they cannot get a bank account without an address and cannot get an address with out a bank account. I knew a wonderful woman working with those who wanted to find a new life and even back then there was virtually nothing, but now even worse because they closed that department down. Give dignity, a piece of land to live on, help them find work and if they choose to live of the land, to respect those around them. Stop dismissing people because of mental issues or bad luck, having been homeless but got to live in my car, I know what it is like to crawl to get back on your feet, don’t turn away help. Thanks, Sara, for your compassionate and thoughtful response.